Value for a lifetime isn’t just a slogan it’s what we provide. Every aspect is controlled from within our operations. From manufacturing to Direct shipping, to our staff (combined one-hundred years plus experience). We are specialists in Home Storage Systems. Free design is provided for every project large or small. Upon approval, field measuring is performed to confirm fit at installation. Fit-up is the process that preps the materials for an accurate installation with minimum time spent at the job site. All designs are kept on file so they can be revised should a new need develop down the road at some point. If new items are required, they are obtained prior to the relocation. 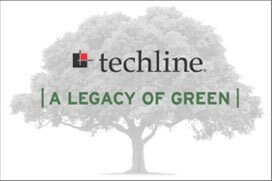 Our Techline shop is fully equipped and staffed to accommodate the necessary modifications to meet the required schedule. Disassemble and package for shipping by others or by Techline. Warehousing is available for shortterm storage. Revisions to existing items to fit the new configuration provided along with any new items needed for the reconfiguration. Tweaking existing installations to accommodate new equipment and processes. Miscellaneous material and products are stocked for quick turn-around to address repairs. Programs are developed for items that become discontinued and are no longer available. Handy-man services for other vendor products that require assembly/or installation are available. Our designers ingeniously fit people and things into space. We can start with your home, business or health care facility, assess your needs, and plan the RIGHT space solution. BYO – refers to “Build Your Own”. These two sub-sections explain what information you should consider when planning the project. We will design your space to be both comfortable and functional, choosing from a seemingly infinite range of products and custom work surfaces. Our studio will coordinate and oversee the entire project from beginning to end. We work with builders, interior designers, architects and you- the owner-to ensure that you get the results you expect, on budget and on time. 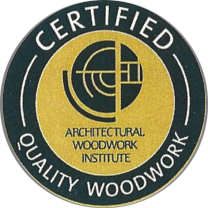 Our trained technicians provide professional and precise installations, making certain that the quality of the installation matches the quality of the furniture itself. If your needs change, our studio design services are available to help you with space design changes. In the average business, for every customer who bothers to complain, there are 26 other who will remain silent. 91 percent of unhappy customers will never purchase goods or services from you again. If you make an effort to remedy a customer’s complaints, 82 to 95 percent will stay with you. It costs about five times as much to attract a new customer as it does to keep an old one.